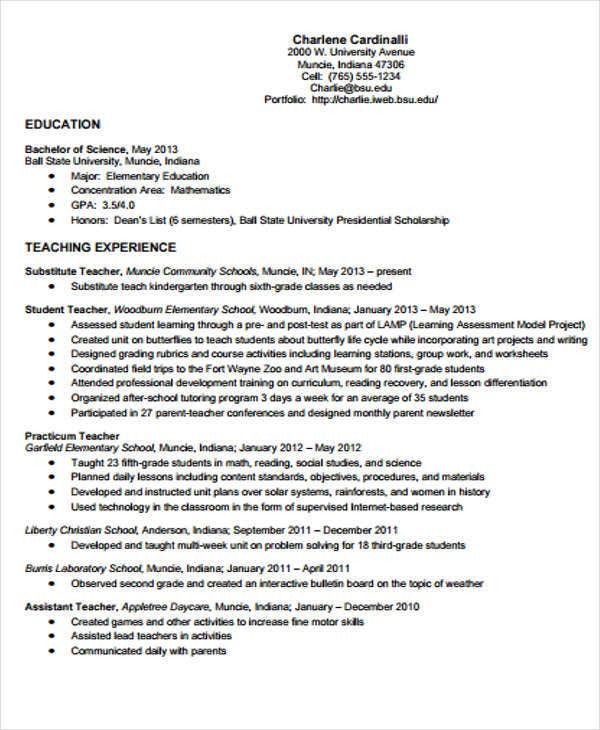 Creating your own resume sample is a part of the job hunting process. We all know that a resume outlines or summarizes an applicant’s employment history and accomplishments. However, there are a few important things to consider to make it look impressive to the potential employer. 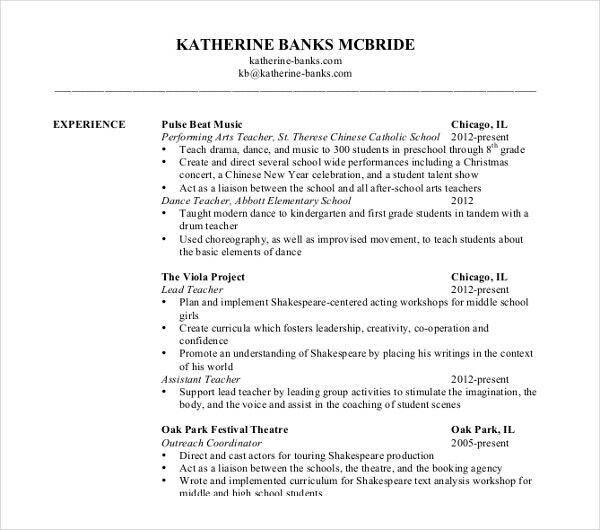 Writing an effective simple resume is the wisest thing to do if you want to get noticed and earn an interview. That is why it is highly crucial to take some time to work on perfecting your resume. In the succeeding topics, we will provide essential information about a resume, as well as smart writing tips. 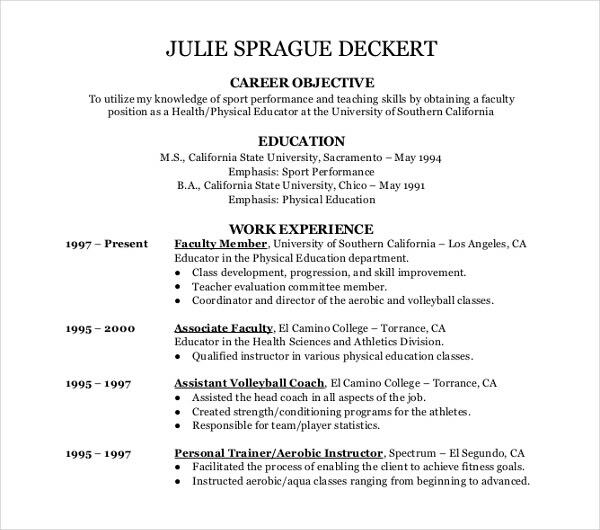 A resume is a powerful tool to market yourself to the hiring party you do it right. 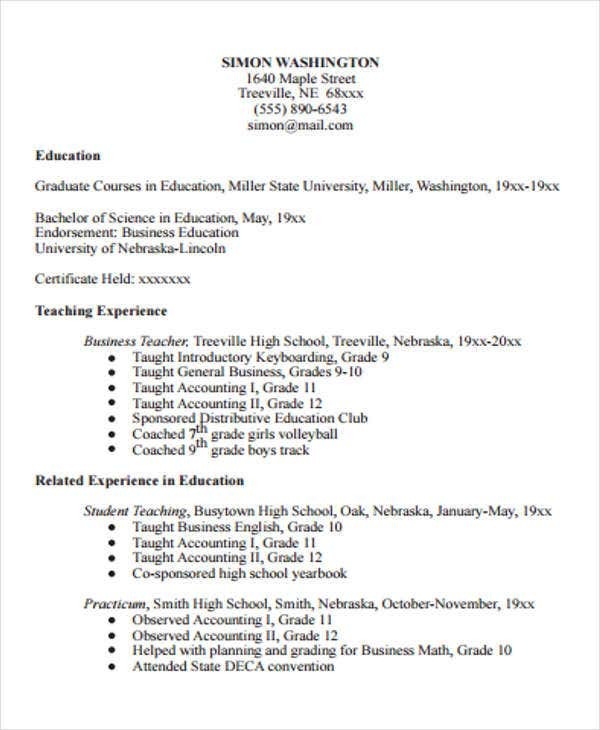 And since it is a marketing tool, you can use it to effectively demonstrate that you: You may also see Tutor Resume Templates. 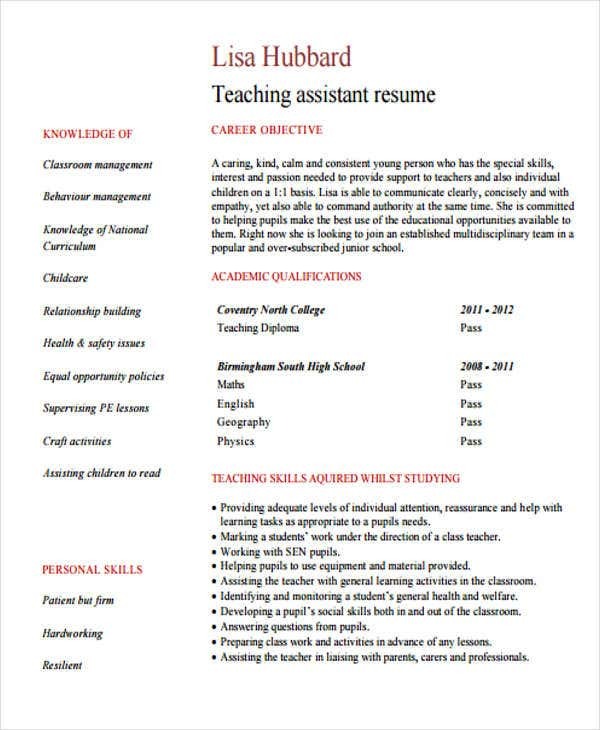 Before you start writing a teaching resume, make sure to check out the resume format samples and elementary teacher resume templates. 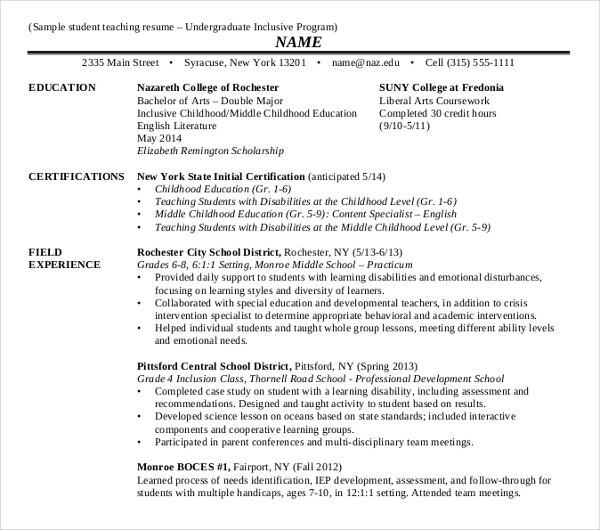 It is a fact that every applicant wants a resume that would grab the attention of the employer. 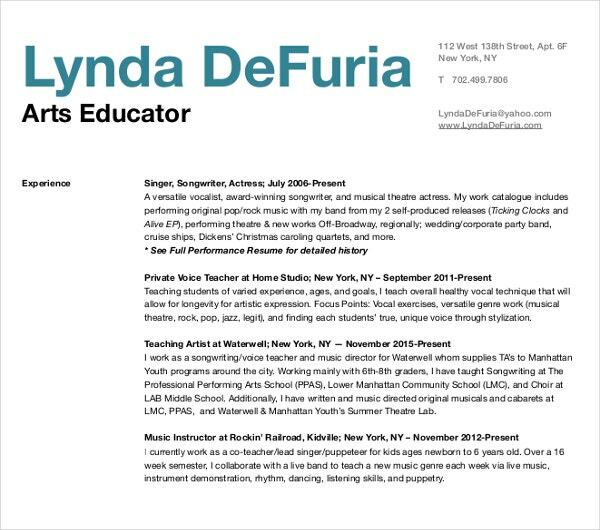 But how can you craft a teacher resume that is artistic yet impressive? 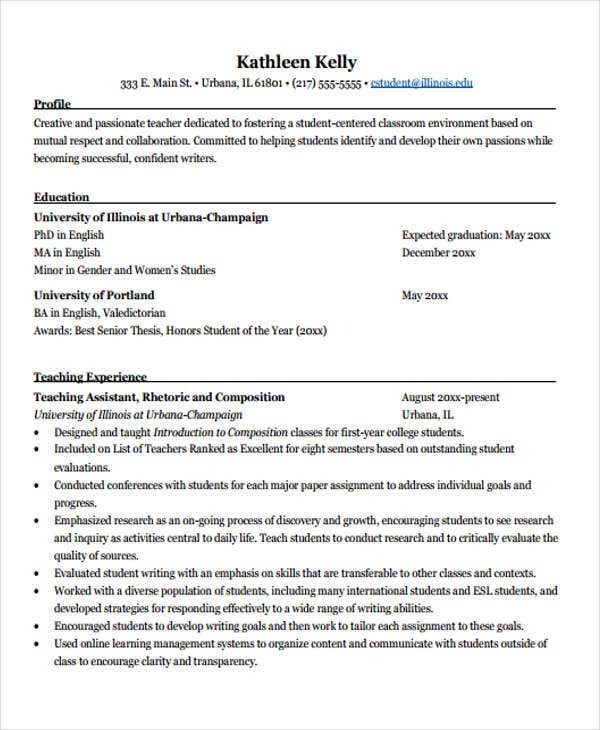 Write an attention-grabbing teacher resume with the following tips: You may also see Substitutor Resume Templates. Highlight your educational background, any training, seminar, vocational courses, and whether or not you’ve attained higher education. Mention any relevant soft skills. As a teacher, one has to be people-oriented, be academically inclined, and have leadership abilities. 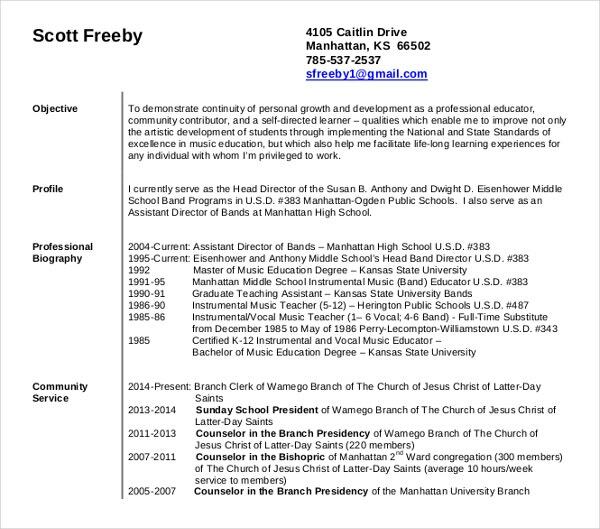 Provide a comprehensive list of academic accomplishments (any distinctions or awards you acquired) and teaching experiences (whether it’s as a Sunday school teacher or as an intern). If you think you need more ideas and formats, check out our list of infographic resume templates and teacher resume templates. 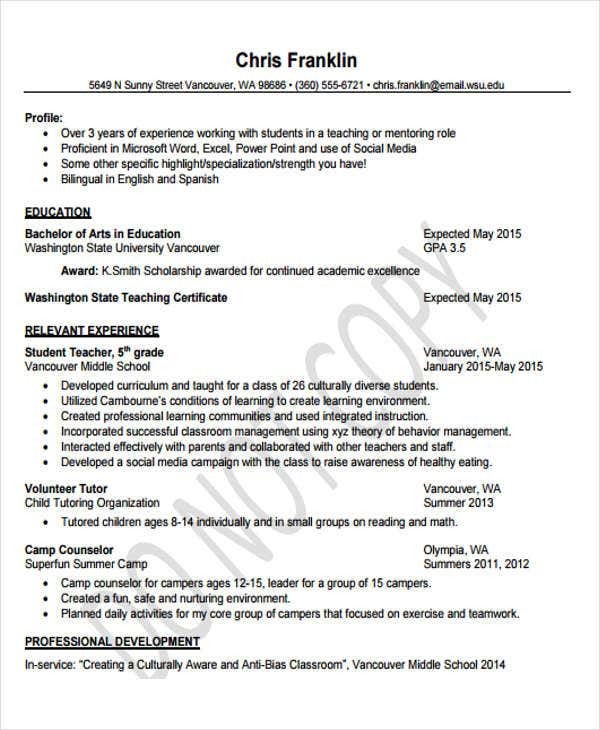 Choosing the right format of a resume is highly essential because each type of resume comes with a unique purpose: chronological, functional, and combination. 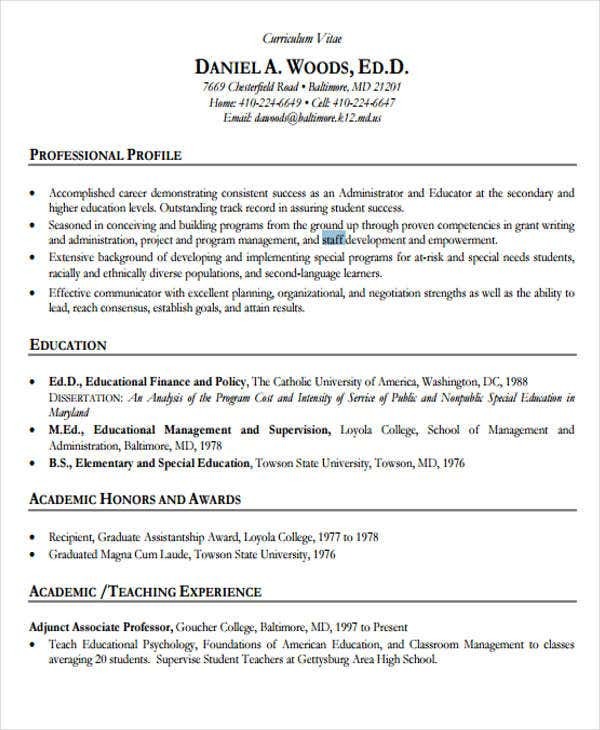 Chronological – If you’ve had a lengthy career in the field of education, this general resume type would be ideal. All you have to do is highlight your employment history by placing it up front and center. List down the schools you worked for, along with your job title and description, in either chronological or reverse-chronological order. 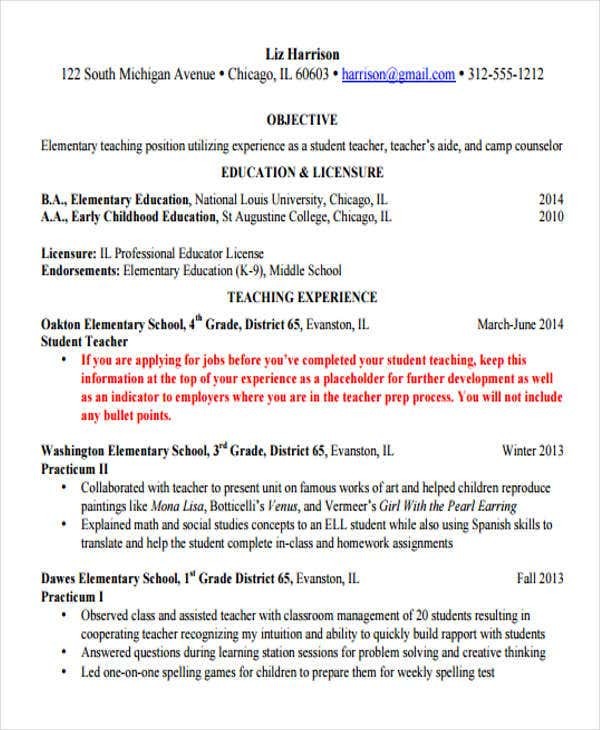 You may also see Preschool Teacher Resume Templates. 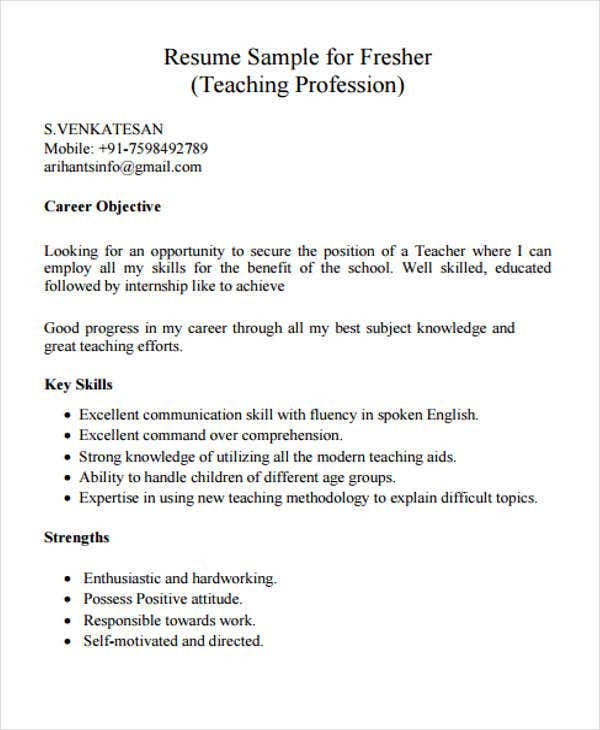 Functional – If you’re a fresh graduate of education or someone planning to shift career paths to become a teacher, then this resume is for you. Chances are that you have little to no experience in teaching, which is why it would be ideal for you to enumerate any relevant skill set you may have acquired (whether soft or technical) instead of your work history. 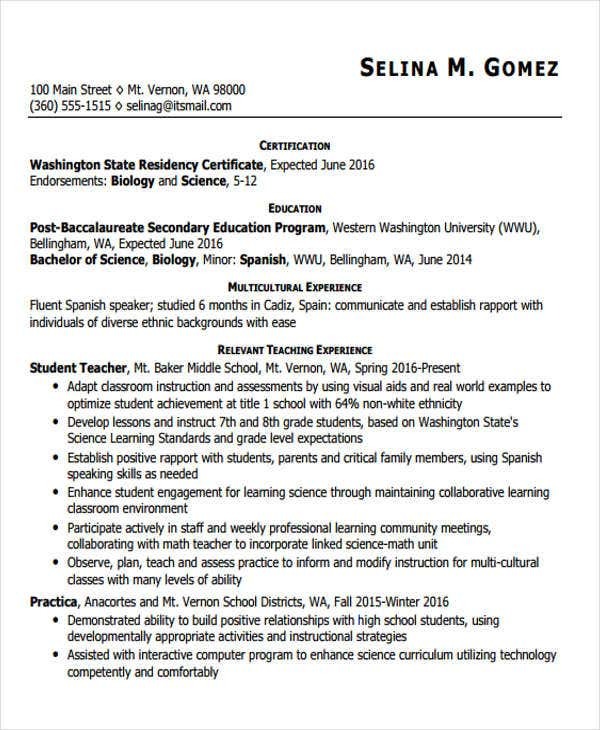 Combination – This type of resume details both your skills and employment history. This is best for those with a solid lineup of relevant employment background. 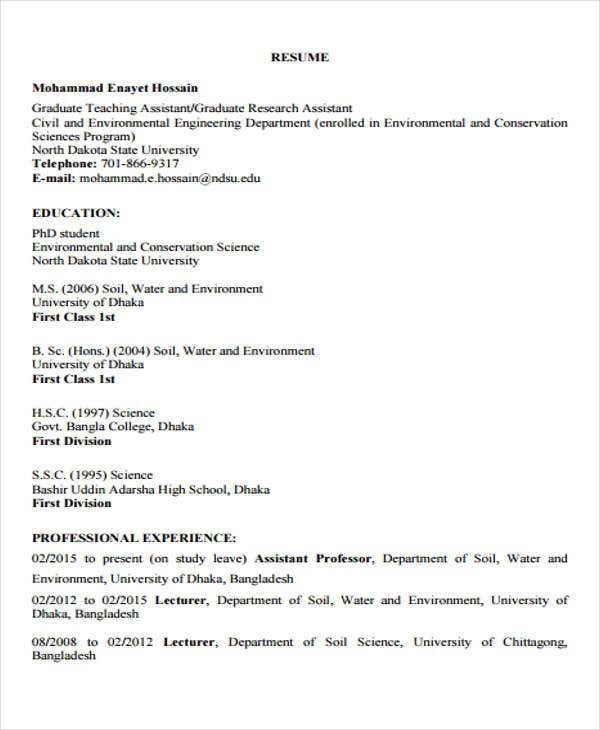 Before you leave, do not hesitate to download the education resume in PDF and/or executive resume templates. Make sure also to visit our website, Template.net, for more template options.